Reality star: Fans of Bravo’s Real Housewives of New Jersey have watched Caroline Manzo’s daughter, Lauren, grow up alongside brothers Albie and Chris, and then saw her get married to Vito Scalia on the RHONJ spin-off Manzo’d With Children, which aired this past fall. How they met: “Vito was my older brother Al’s college roommate,” says Lauren, who fell in love with him the second she saw him. 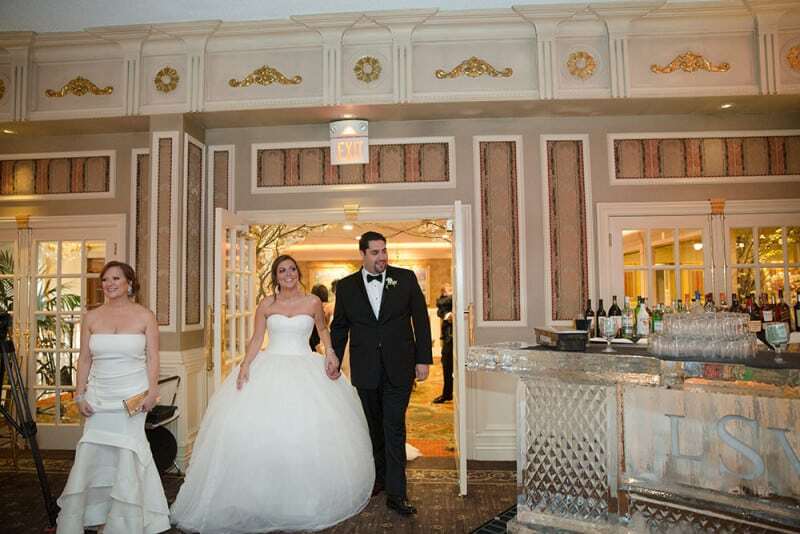 When Al and Vito were moving in sophomore year, Lauren bravely approached his mother, held out her hand and said she was going to marry her son. They didn’t get together until a few years later, and then dated for five years. Will you marry me? : Lauren was at her salon, the Cafface Beauty Bar in Franklin Lakes, when Vito walked in with flowers and told her to close her eyes. “Our song, Michael Buble’s ‘Close Your Eyes’—which I always knew would be my wedding song—played.” He got down on one knee to propose, with both families outside looking in. “We all went to the Brownstone from there for a big family dinner that was more like a mini engagement party,” says Lauren. The wedding gown: “When I was younger, I always said I wanted to wear a Vera Wang wedding gown,” says Lauren. So after trying on a “million wedding dresses,” she headed to the Vera Wang showroom. They customized her dress, added a 14-foot train, made the skirt bigger and created her dream gown. 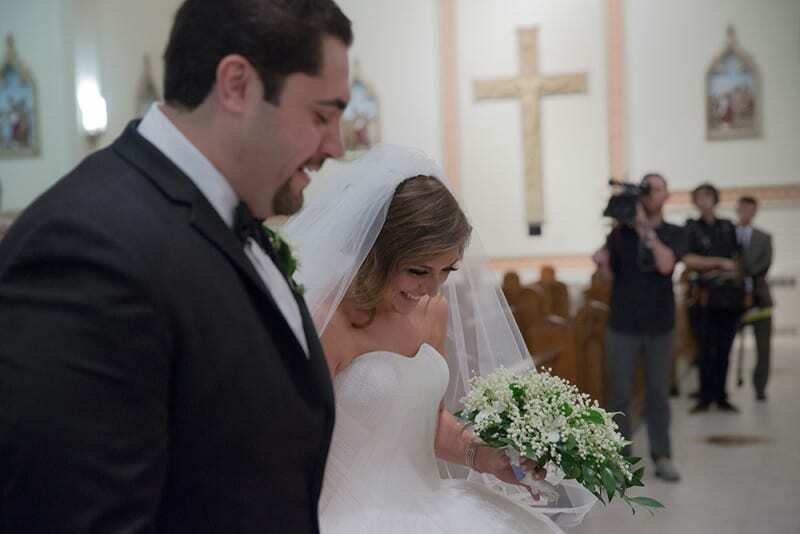 I do: Lauren and Vito were married on July 18, 2015, at Church of Sts. Cyril & Methodius and St. Raphael in Manhattan. Details of the day: There were lights all over the dance floor at the family-owned Brownstone, and centerpieces were simple and elegant, with white roses and orchids. Floral arches decorated doorways and cascaded down stairway railings. There were two cigar rollers, plus a man-cave room with leather couches and a Scotch and whiskey bar. Guest list: RHONJ stars included Jacqueline Laurita, Kathy and Richie Wakile, Melissa and Joe Gorga and Dina Manzo. Menu: Chilean sea bass “since the Brownstone’s is the best in the world,” says Lauren, and a funfetti wedding cake.